You must make bookings at least 5 minutes in advance of the time at Michael Nadra Primrose Hill. Chalk farm or Camden tube stations, 7 minutes walk. 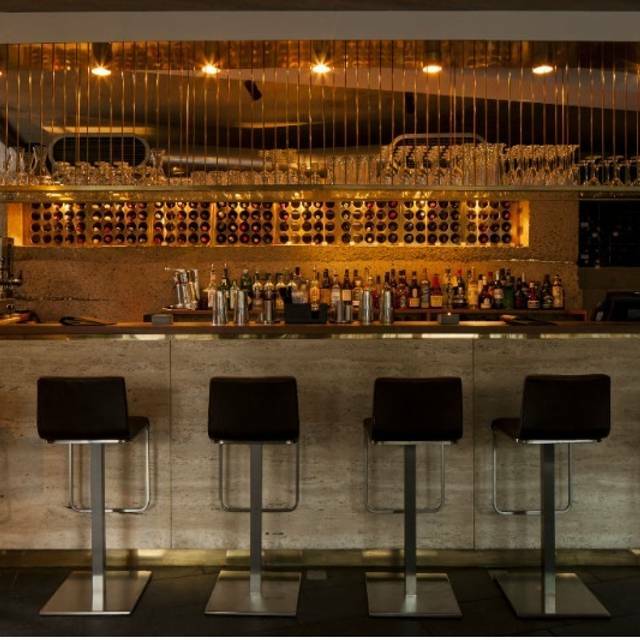 Restaurant Michael Nadra, is an exquisite modern European restaurant in the heart of Primrose hill. Enjoy fine dining in stunning surroundings. Or, for just a drink, relax in the Martini bar. Michael Nadra Primrose Hill is one of London’s hidden gems. 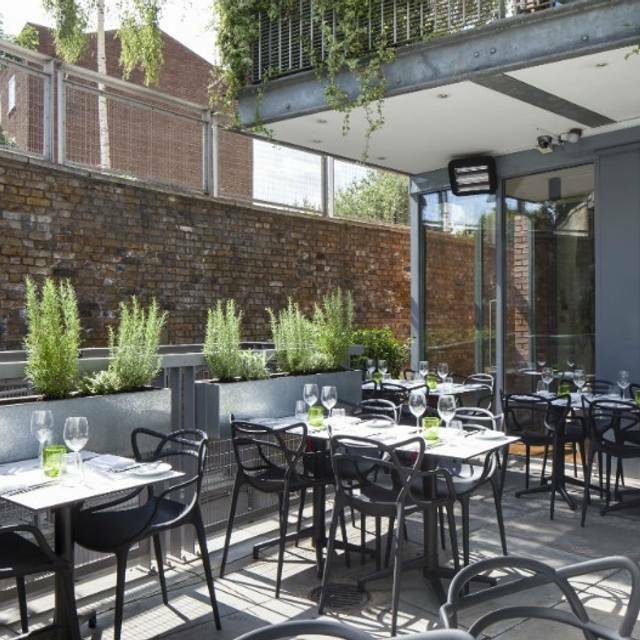 Set next to the canal in beautiful Primrose Hill you can experience the finest cooking, cocktails & wines. 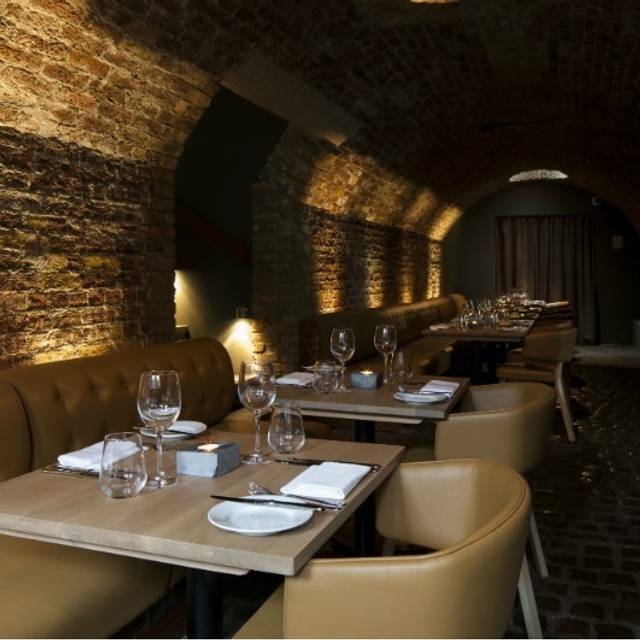 The restaurant boasts 5 unique contemporary rooms including a 200 year old horse tunnel. Very fine food and a friendly atmosphere. Menu should suit all tastes. Great food and service, very much enjoyed our evening with Michael and the team. We visited on a Saturday afternoon for the bottomless cocktails, they were great! The food was lovely and great value for the deal. The service was fantastic! Thanks for a great afternoon. Perfect place for a date, really warm and friendly service, it was a really beautiful building which was classy without being pretentious. The gentleman that served us drinks was a proper host, felt very welcome. Great experience, little pricy for what you got though. Highly recommended for the food, but noise is a problem. There'll be no such thing as a quiet dinner conversation. Meal on Sunday evening. A fantastic bargain for high class food and service. It was very good. We live locally but haven’t been to the restaurant for a while. We enjoyed the evening. Unlike many of London's ubiquitous modern European restaurants, Michael Nadra's menu is refreshingly distinctive in both variety and taste. We thoroughly enjoyed the food + service was very warm and welcoming. Restaurant fairly empty so lacked atmosphere . 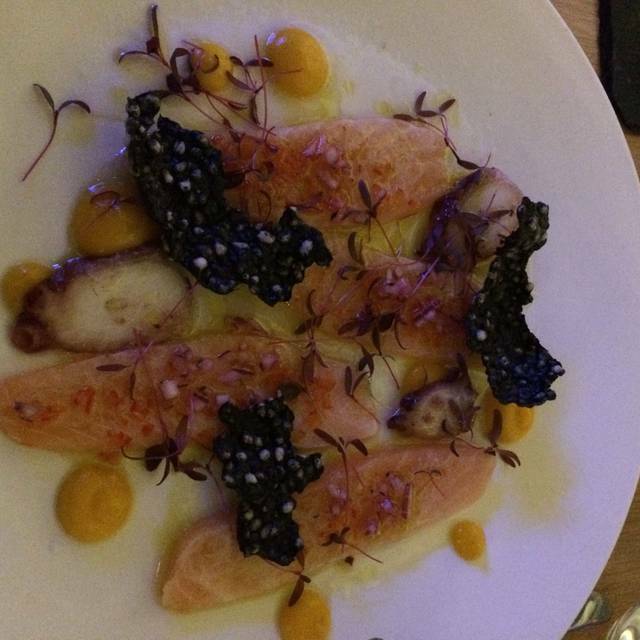 Incredible food and cocktails with excellent service. This is a great place to go, great food, great service, and nice place. The restaurant is set in the lovely location. With not many people there it feels quiet and relaxing which I like. The service was good either, can't complain. However, I found the menu choice to be very limited and the food simply bland. My main dish (seabass) was lacking flavour and didn't stand up to the price. The dessert was good but again nothing special. I found the restaurant to be very overpriced for the food quality and ambience they offer. Valentine’s Day. Set menu had some terrific highs, but also some disappointing lows. The tuna sashimi was exceptional. The beef carpaccio also extremely well prepared, a real treat. But the welsh lamb was a disappointment. The meat was thinly sliced and tender but it had very little flavour. It was served with a fried cylinder that reminded me of cheap buffets. Fortunately, the passion fruit tart was very good and prepared to the perfect consistency. But I was left with an unpleasant burnt aftertaste which I am sure the chef had not intended. So all in all, this was sub par for a restaurant with a Michelin star. As ever, we had an excellent meal. Since it was Valentine's Day there was a 4 course taster menu, proceeded by a glass of champagne. Each course was better than the next - beautifully presented and wonderful and interesting food! Went for Valentine’s Day menu. Ambience and service were both very good. Unfortunately food wasn’t great. Really disappointed with lamb main - wasn’t seasoned at all. Maybe because it was Valentine’s Day. It was divine. The chef was really carefully with all my allergies and made me a bespoke menu. Most dishes were excellent (lamb, seared tuna). Chicken herb not so much. Overall enjoyed it. As an American in London this is my go-to restaurant when I'm burnt out on pub food and want a lighter, trendier and elevated cuisine, with clean/fresh ingredients and preparation. 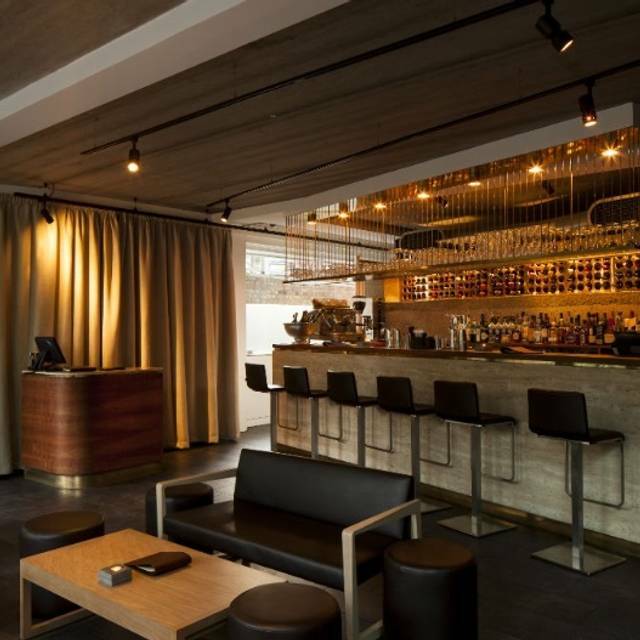 This spot is reminiscent of the best restaurants in New York or Los Angeles. 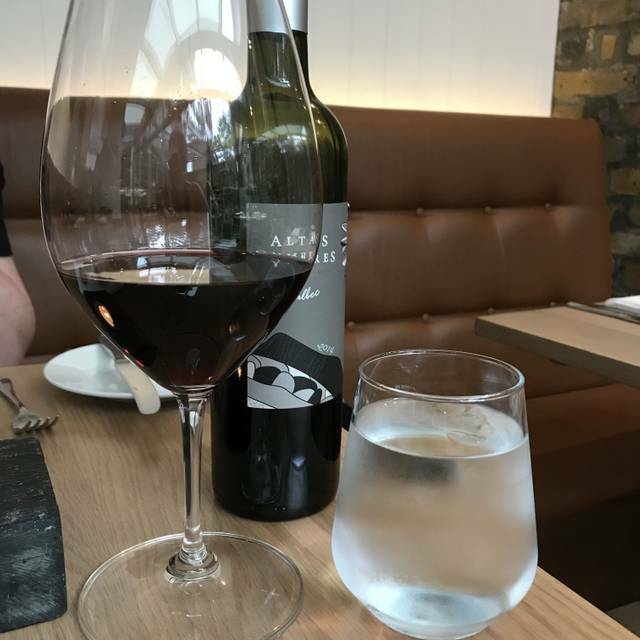 His fish dishes never disappoint and his meat-mains are flavored packed (usually rich), plus amazing vegan options and ever-changing seasonal menu, and my British boyfriend's favorite Sunday roast in town! Extremely friendly and accommodating staff, VERY DOG FRIENDLY, best Lychee martini in London (or any cocktail you might want the bartender to create for you). Can't beat the 2-for-1 cocktail deal during happy hour, every day of the week! About 6 barstools at the narrow bar counter (not great for eating, but perfect for drinking/happy hour), plus bar lounge/couch seating (my preferred, because it's comfy and you can watch all the comings a super cool brick cave/tunnel, which was originally used as a horse tunnel to the Camden stables. Don't be deterred if you poke your head in and it looks empty, this place is worth the visit! And be sure to have the Chocolate Fondant dessert... it's like dying and going to heaven! Great place! Service and food excellent! Bar & Martinis amazing!! Only down was the temperature was a little low so felt cold inside!! We had a lovely meal, taking the express menu as we had an event after the meal. The food was fresh, tasty and well presented. We were served and seen to by attentive and friendly staff and the setting was relaxing and secluded from the outside passers by. Food is excellent quality , the way it's cooked, presented & tastes . Service very good ,friendly polite staff . Great food and great staff, pleasant location and nice atomosphere inside. 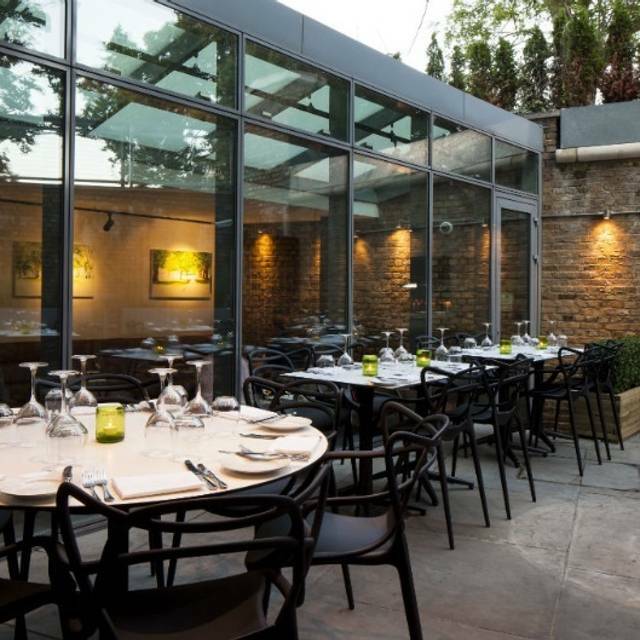 Entre la vie trépidante de Camden Town et la tranquillité de Primrose Hill, nous avons découvert au bord du canal le restaurant de Michael Nadra ! Un bel établissement dans un décor raffiné avec une belle carte des vins du monde qui nous a proposé un menu spécial réveillon original et bien exécuté. The food was very very good and very kind service. The chef is really good. Great food and nice service. However tje wine price are a bit too expensive for the quality offered. The meal was delicious and the setting was very pretty and lively for a neighbourhood Reataurant however the restaurant itself was freezing cold. I would not return there until they ensure they have adequate heating. This is one of our favourite restaurants and last night's meal with friends did not disappoint! The scallops were delicious and the venison dish innovative and excellent. We have already booked for New Year's Eve! The food was the best I’ve ever had in my entire life & I’m 54yrs & well traveled. 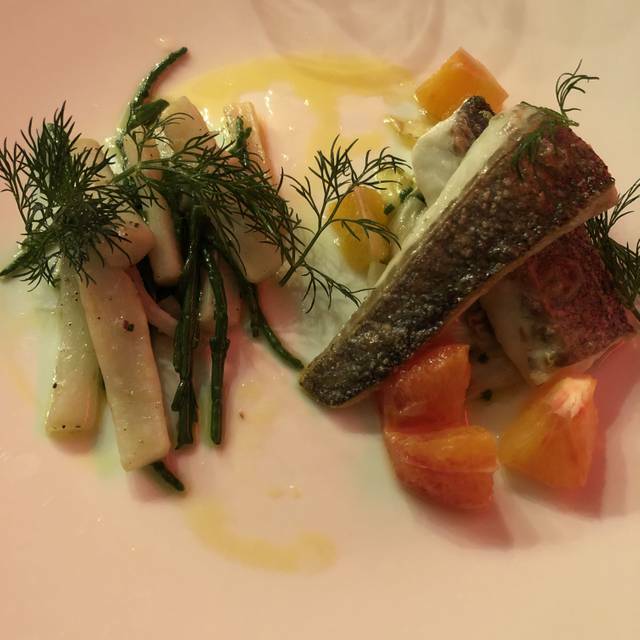 The sea bass was to die for, it’s was my fiancé & I first year engagement anniversary, the staff & Michael himself were only to accommodating. We will definitely be returning here very soon. We had to wait around 25 minutes until we got our drinks after arrived, and when the drinks finally arrived one of them was wrong, so again we had to send it back, even we got that drink on the house, it’s too much syrup so my husband couldn’t finish it. The food was very good, unfortunately when they gave us the warm bread rolls they were very burnt, we asked for some non burnt one, again it was quite burnt too and they said that’s the best they could do. We went to this restaurant for many occasions and each time was very good but unfortunately definitely not this time. Hope they would take our experience this time seriously and improve for the future. We tried this restaurant when it first opened, two or three times, but somehow hadn’t been for years. We’d found the food nice but not exciting and we don’t go out a lot. We went with friends this week and had the tasting menu. 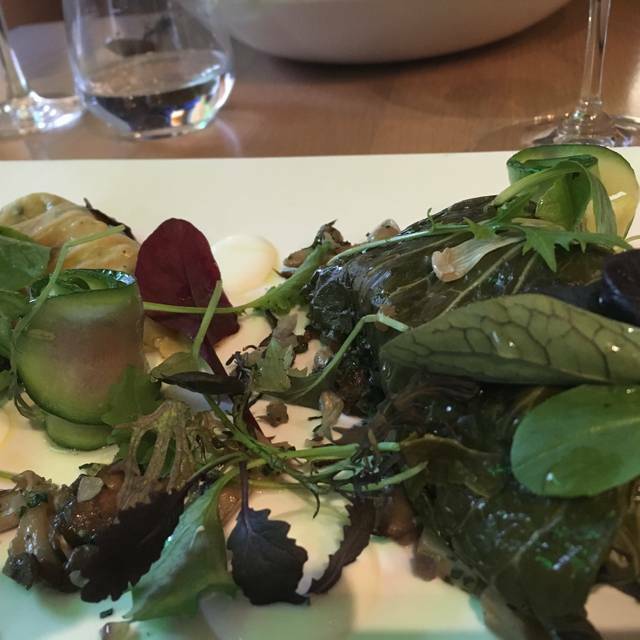 The food was both delicious and beautifully presented, the combinations were clever without being over fussy, and the wine choices were good, interesting and not, mostly, ones which any of us had tasted before. The portions, both of food and of wine, were very generous - perhaps too generous considering the number of courses! We just about managed to finish everything, being rather greedy. We are all looking forward to going again as we had a really wonderful evening and we would all thoroughly recommend this restaurant. What can I say apart from this has to be one of the best meals I have had in a long time. Great atmosphere, wonderful food and service. The house wines are delicious and the Venison was out of this world. Can’t wait to return on our next visit to London. My starter (venison sausage) was quite dry, but the main course (yellowfin tuna) was very good. Service was friendly and attentive. The restaurant seems to have a policy of sitting diners opting for the Open Table special menu in a room apart; we were on our own in an initially quite cold environment. This policy is questionable and should be made clear when booking. Nice location, welcoming staff, and nice dishes. However I had slightly higher expectations. Beautiful meal and awesome service, we were spoilt and loved our evening here. Thank you! It hasnt yet decided whether it wants to be a really good neighbourhood restaurant or aiming more towards the Michelin style.